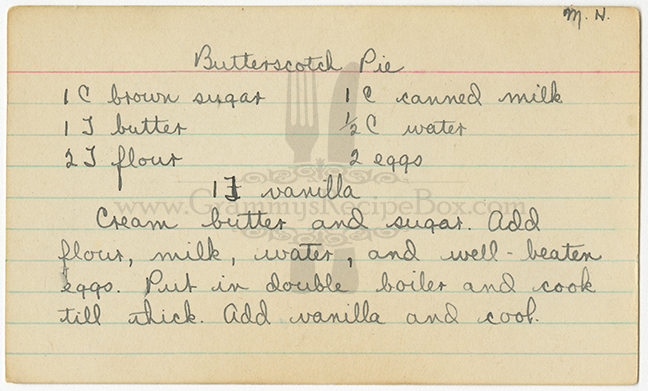 This recipe is written in fountain pen. In the upper right corner are the initials "M.H. ", so the handwriting may belong to Grammy's paternal aunt Maggie Munce Hansen. 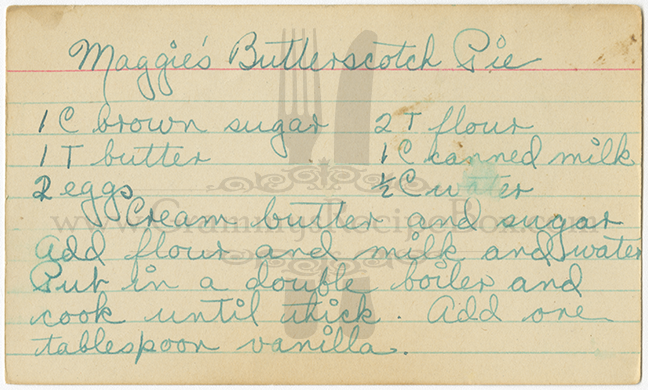 I found another copy of this recipe written in Grammy's early handwriting (below). 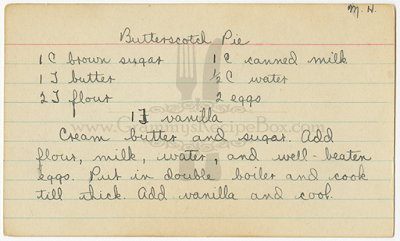 Although the original title of the recipe says "pie", it appears that this recipe is for a "no bake" pie filling. 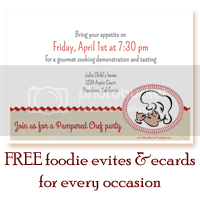 No instructions for the pie crust are provided. I don't know if it is supposed to be put into a graham cracker pie crust or pre-baked pie shell. Until we test this recipe, we won't know for certain unless someone in the family remembers eating this recipe years ago.